Home / Sale / New Bodega Sale in Ermita Manila! 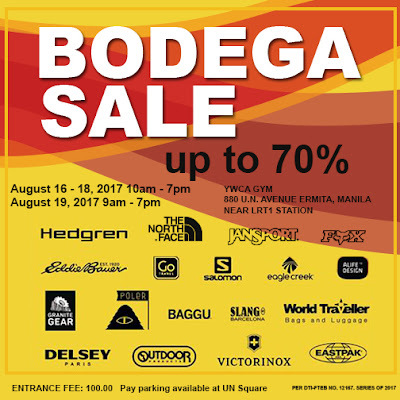 New Bodega Sale in Ermita Manila! Striptop Outlet Store will stage the 1st edition of much-awaited Biggest Bodega Sale of Luggage, Bags and Outdoor apparels & accessories this rainy season entitled BODEGA SALE on August 16 to 19, 2017 at the Young Women's Christian Association – YWCA Gym - 880 General Luna St., Ermita, Manila. 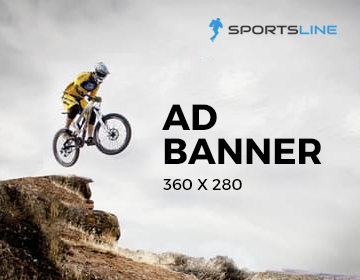 Shoppers from around the metropolis will surely enjoy huge discounts on great selections from shoes, backpacks, ladies bags, luggage, men’s and ladies sporting goods and other specialty items. As usual, all major credit cards are accepted. Shoppers will enjoy up to 70% discounts from participating brands like The North Face, Salomon, Jansport, World Traveller, Delsey, Poler and many more. This event is organized by Striptop Outlet Store in partnership with Primer International. For more information about the event, please call Striptop Outlet Store at 399-2935.